As Dorothy Gale well knows, it’s always a good idea to know a little bit about what’s going on behind the curtain. Most businesses these days rely heavily on content management systems (CMS) to publish their web-centric marketing materials, be they web sites or email newsletters, so as to un-shackle content distribution from technical personnel. While this democratization of distribution puts the publication of content justly in the hands of the content creators themselves, it’s always a good idea for the users of those systems to have a little familiarity with the code that’s being produced underneath. Knowing a little HTML (the main programming language of web pages) and CSS (the predominant language used for controlling the elements that influence how web pages are presented: fonts, layout, colors, etc.) can go a long way towards being able to troubleshoot style and formatting glitches that may otherwise waste time and money in technical support. 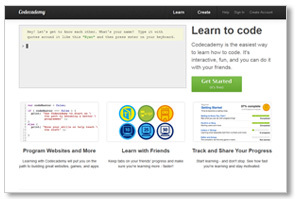 If you think you or some of your staff could user a primer on HTML and/or CSS CodeAcademy.com is offering a free interactive online tutorial that will get you started in these building blocks of the web with no previous coding experience necessary. It’s very accessible with a step-by-step approach for those who have a ground floor entry in terms of technical and programming knowledge. If you’re waiting for the obligatory joke about the Scarecrow and finding the “technical brains” you’ve had all along, you best keep moving, there’s nothing to see here. This entry was posted in Code and tagged Code, CodeAcademy.com, Coding, CSS, HTML, Tutorial. Bookmark the permalink.